A new series, concerning proverbs. Match the proverbs with their meaning. KEY INCLUDED!!! ENJOY!!! 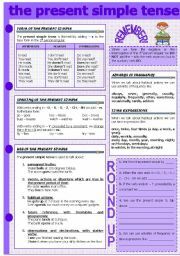 Worksheet no. 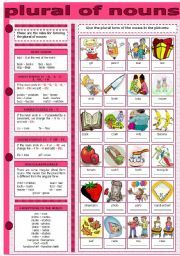 14 on COLLOCATION, including CRUISE, EXCURSION, JOURNEY, TOUR, TRAVEL, TRIP, VOYAGE. ENJOY !!! 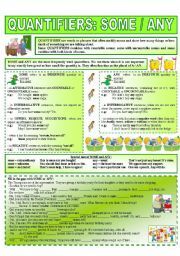 I�ve decided to start a series about all the tenses. 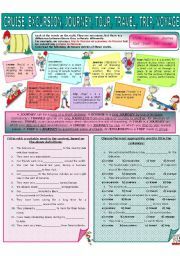 So, here is the first one: THE PRESENT SIMPLE TENSE. 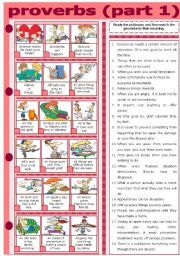 Grammar presentation, followed by 7 activities: fill in, give the 3rd person form, give the negative form, give the interrogative, fill in and match to the pictures, arrange the words in the right order, choose the correct form. ENJOY !!! 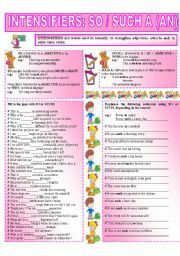 Worksheet number one on the third set of IRREGULAR VERBS: give the past tense form of the verbs in brackets and match to the pictures. ENJOY !!! First one of a series on QUANTIFIERS, DISTRIBUTIVES and INTENSIFIERS. This one is on SOME and ANY.Presentation on the uses and activity. Enjoy! The second season in the series, about SUMMER. 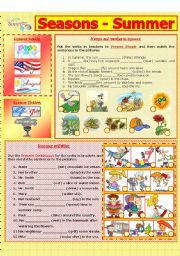 It has the same lay-out as the one about SPRING: weather, nature, months and holidays, activities. Enjoy!! !